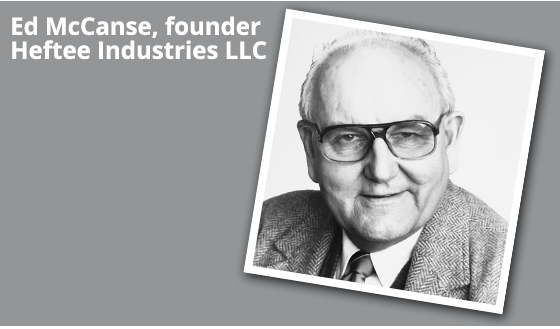 Since its founding in 1992 by Ed McCanse, Heftee Industries LLC has become the industry leader in specialty lifts for small engine equipment. While working as chief engineer and principal safety officer for an outdoor power equipment manufacturer, Ed saw the need for a specialized lift that could safely raise riding lawnmowers and utility vehicles. His goal was to equip repair technicians with a lift that would allow them to work comfortably in a standing position, rather than lying on the cold shop floor on a creeper with a lawnmower inches above their head. He realized his goal with the design and production of what is today the Heftee 2000 lift. 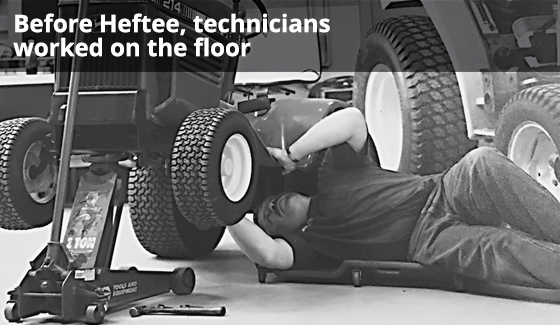 Although Ed retired in 1999, the Company has continued his mission to equip every small engine technician with a Heftee lift; to take them off the floor and allow them to safely and efficiently complete virtually every repair job. Today the Heftee 2000 and Heftee 4000 lifts set the standard for outdoor power equipment lifts that provide complete under-equipment access, adjust to any wheelbase, can lift the smallest to largest riding mower or utility vehicle, and yet are nimble enough to be freestanding and easily installed or relocated around the shop. 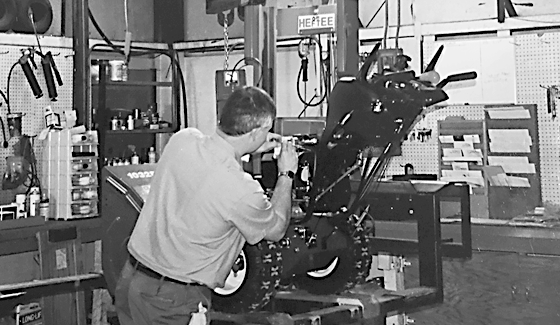 Heftee lifts improve technician efficiency, increase the shop’s overall productivity, improve worker safety, help control shop costs, and equip technicians so they can focus on delivering quality results in their repair work. More than 5,000 service shops use Heftee lifts to provide better service, shorten backlogs and increase their customers’ satisfaction. Summary : Heftee Industries launches its new website with on-line replacement parts ordering. © Copyright 2017: HEFTEE All Rights Reserved.